The popular Musical Adventure event presented by the Dionysus Quartet makes a welcome return to the Carnegie. 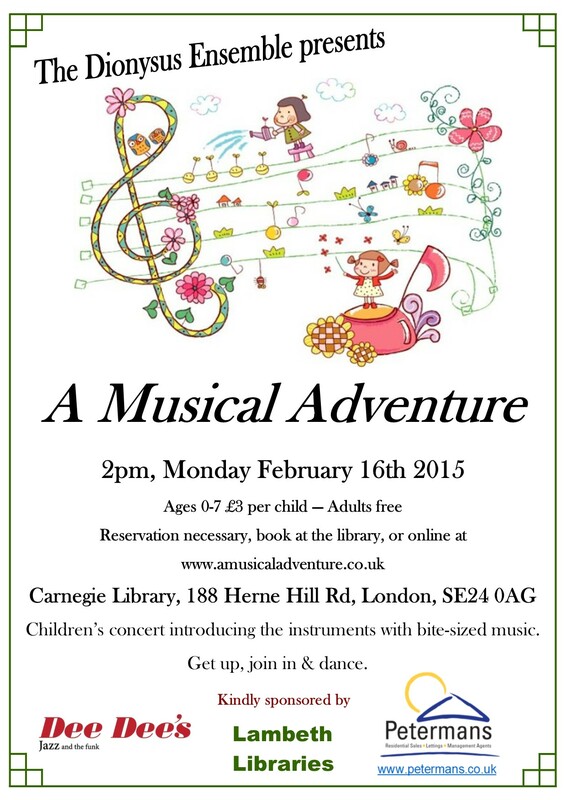 The children’s concert introduces instruments with bite-sized music and plenty of chances for fidgety feet to get up, join in and dance. The session is for children aged 0-7. 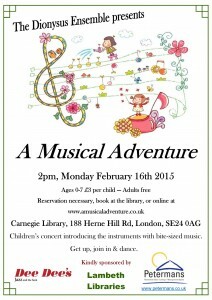 Reservation is necessary - book at the library desk or online at www.amusicaladventure.co.uk .